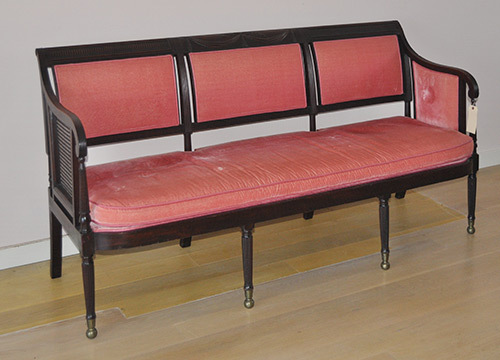 Woodbury, CT – On Tuesday, August 14th Schwenke Auctioneers will hold its August Fine Estates Auction with an offering of over 400 lots of estate property which includes a broad selection of Asian decorative arts, American, English and Continental furniture and decorative arts, folk art and American country furniture, early English & other sterling silver, jewelry, fine art, miscellaneous decorative arts, and estate oriental rugs. The auction is a live online sale with absentee and phone bidding, plus live internet bidding on multiple platforms including live bidding on the firm’s own software. The auction begins at 11:00 am on Tuesday, August 14th. Preview times are Friday, August 10th from 10:00 am to 5:00 pm, Sunday, August 12th from 11:00 am to 5:00 pm; Monday, August 13th from 10:00 am to 5:00 pm, and Tuesday, August 14th from 9:00 am to 10:00 am. Preview is also available at other times by appointment. The gallery is closed from 10:00 am on auction day. Among the choice items from the Samowitz estate are a fine New York Sheraton carved mahogany sofa, attributed to the workshop of Duncan Phyfe; a New York hepplewhite oval inlaid mahogany pembroke table; a New York carved mahogany hepplewhite arm chair; a New England 18th century fire screen with an embroidered panel; a labeled late federal Philadelphia carved mahogany work table by Isaac Pugh; a rare New York bronze mounted classical work table, attributed to Duncan Phyfe or Charles Honore Lannuier; a Mid-Atlantic hepplewhite upholstered wing chair; and a fine Massachusetts inlaid Sheraton game table. 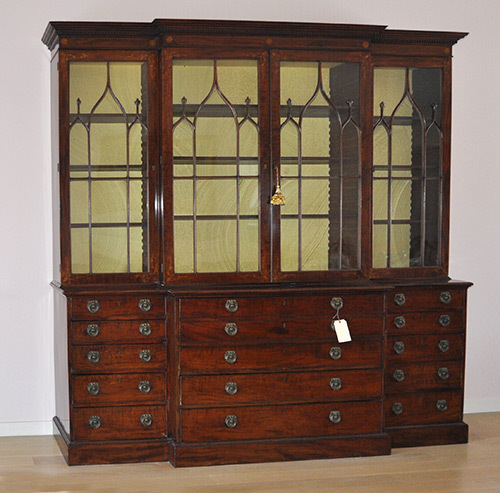 Also being offered for the Samowitz estate is a very fine George III inlaid mahogany breakfront with rosette and floral/vine inlays. Other American furniture of note includes a rare Massachusetts federal mahogany coffin clock by Allen Kelley, Falmouth, consigned by a Morristown, New Jersey estate. The clock has a brass eight-day, weight-driven, time only movement with a tombstone shaped enameled dial with faux strike winding stud, signed "A. Kelley, Falmouth", in a "coffin" style case of mahogany with pine secondary wood. The clock measures 34 3/4" high, 10 1/2" wide, and 4 1/4" deep. Allen Kelley was born in Yarmouth, Massachusetts on November 14th, 1791. He was a Quaker and served his apprenticeship under the Quaker clockmaker Joshua Wilder of Hingham. By 1813 Kelley is recorded to be on his own and working as a clockmaker in Sandwich, Massachusetts. He moved to several other locations in the Southeastern Massachusetts region. Some of the towns include Provincetown in 1819-20, Nantucket in 1825, New Bedford in 1834 and back to Sandwich in 1852. He died there on October 13th, 1876 at age 84. Allen Kelley is listed as a clockmaker, watchmaker, silversmith and jeweler. Tall clocks and shelf clocks by Kelley are known, but this is perhaps the first known wall clock example. See plate #97, page 290 of "Harbor & Home: Furniture of Southeastern Massachusetts, 1710-1850" for photos of a tall clock by Kelley and a discussion of Kelley's work. 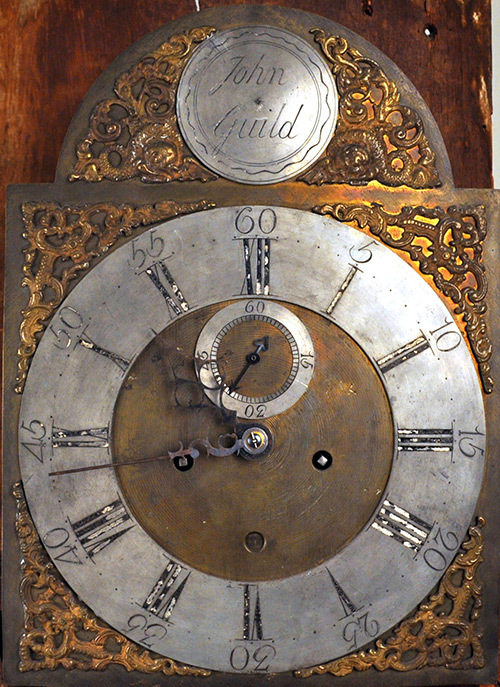 A fine New Jersey cherrywood tall clock will cross the block, fitted with an eight day brass movement with brass dial having silver boss and chapter ring, signed "John Guild" (1749-1825), who lived and worked in Pennington, Ewing Township, New Jersey, located in the southernmost part of Hunterdon County. Guild was both a clockmaker and a silversmith, as he made silver cups as part of a communion set for the Ewing Presbyterian Church. He was the son of Reverend John Guild (1712-1787) and Charity Hunt (1721-1766). The clock measures 90 1/2" high, 17 1/2" wide, 9 1/4" deep and is being sold for a Woodbury, Connecticut private collector. 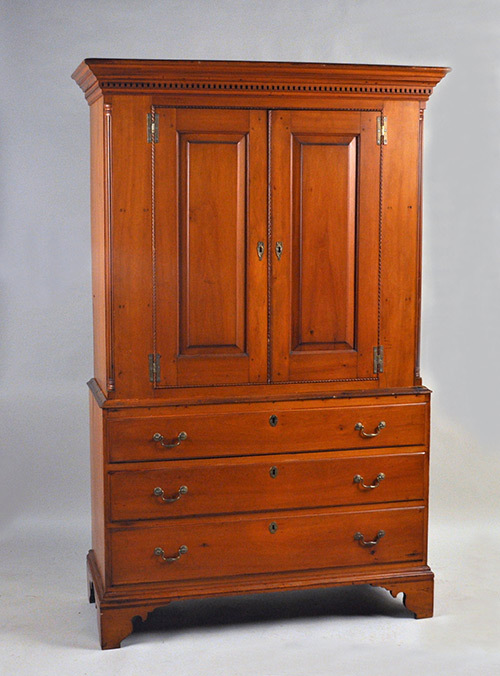 A fine Connecticut Chippendale cherrywood linen press is also on offer, consigned by the Westchester County Historical Society. The two part press has a dentil molded crown above two paneled doors and a three drawer base with bracket feet, with unusual rope twist corner columns, and measures 48" wide, 79 1/2" high, 20" deep. A New York inlaid hepplewhite mahogany serpentine sideboard is being sold for an estate in Wilton, Connecticut. 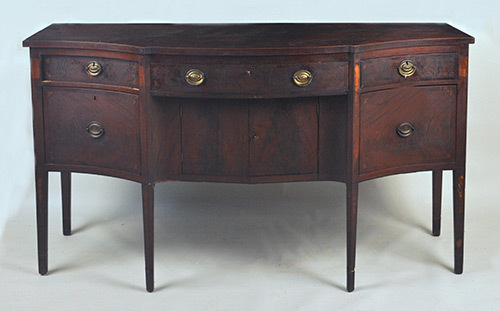 The sideboard is in "estate" as found condition, with string and fan inlays overall and husk inlays on the legs, measuring 39" high, 71 1/2" wide, 28" deep. Mid-century and modern lots in the sale include a modernist upholstered tufted chrome bench with welded steel frame, 18" high, 60" wide, 21" deep; a Berkliner modernist plyform arm chair/ottoman, the chair measuring 39 1/2" high, 32" wide, 29" deep; a pair of mid-century modern adjustable chrome tables, 25" high, 20" diameter from a Redding, CT Estate; and a Whitmore Boogaerts kinetic oak and wrought iron chair, initialed, dated on back splat "WB 99" and measuring 34 1/2" high, 27" wide, 16" deep, being sold for a New Haven County, CT Estate. 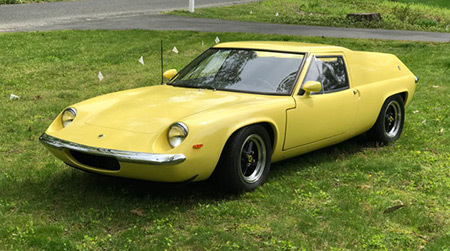 Featured as lot #1 in the sale is a well preserved and rare early Lotus Europa S1B (Type 46), number 46-0568, with original engine (number 697-04/0657), purchased by the consignor on January 8th,1969 from the original owner who had logged just 400 miles in the one year he had it. The Lotus certificate of provenance states that this vehicle left the factory on 29th February 1968. It was the fourth Europa sold at Lotus East - 1,470cc, four liter, mid-engine, two door GT coupe. The owner has original purchase documents, certificate of title, receipts from 1996 to the present, the workshop manual and supplement. The car has never been raced, merely being maintained for daily use and has logged approximately 45,000 miles. The car has never been in an accident and was repainted in its original yellow a few years ago. A complete photo folder and maintenance/condition information is available to interested bidders upon request. Provenance is the property of a Connecticut private collector. 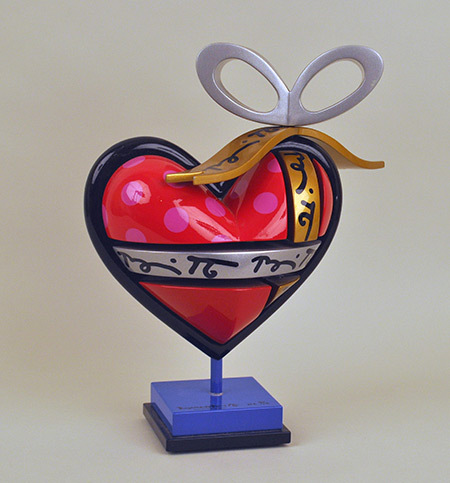 Another interesting modern lot is a Romero Britto mixed media heart sculpture, (Brazil, B. 1963), in three parts, signed, numbered "HC 2/12" on base, 12 1/2" high, 10" wide, 9 1/2" deep, from a New Haven County, CT Estate. A local collection yielded a cased violin labeled "Gotthard Ebner Lauten 6 und Geigenmacher Music Fecit Ratisbonae 1750", together with two bows, one stamped "Glasser". Gotthard Ebner (German, 18th century), worked c. 1723 in Hallein Austria. 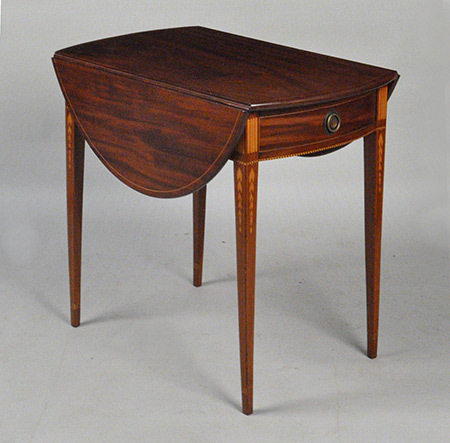 Another Connecticut collector is selling a Stickley style mission oak round 60” rotating game or dining table, with a thick plank top rotating on a squared pedestal base, in estate condition. 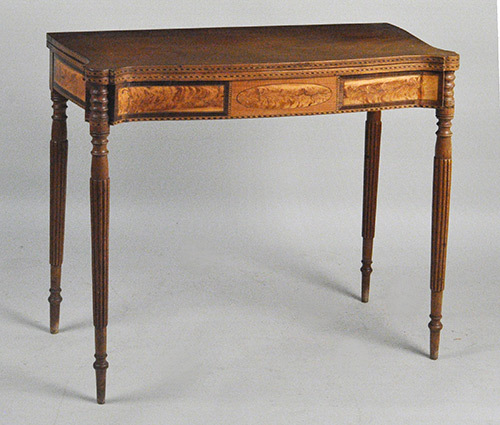 There are plentiful lots of English and Continental furniture and decorations, including a fine large early French provincial farmhouse table, with cleated three plank top on a turned base with two end drawers, 30" high, 105" wide, 35 1/2" deep, from a New Haven, CT Collector; an Italian carved walnut settee, with foliate and scroll carved frame, serpentine arms, on carved cabriole legs, 39" high, 51" wide, 22" deep, from a Watertown CT private collection; a French provincial carved walnut bonnetiere; a Louis XVI style carved and painted tub chair; a small Italian marquetry cabinet; a William IV upholstered adjustable library chair; and a fine pair of George III upholstered library chairs, with serpentine crest and front rail, molded arm supports, on square legs, 39" high, 28" wide, 24" deep, also from the estate of Gloria Samowitz, Stratford, CT.
Over seventy lots of fine Asian decorative arts are being offered, including a Chinese porcelain enameled scenic plaque depicting a gathering, frame size 21 1/4" high, 16 1/4" wide, being sold for a Connecticut collector; a Chinese pewter and jade teapot; a Chinese porcelain tripod footed vase; a Chinese carved hardwood bench; a pair of Chinese hardwood yoke back arm chairs; many Chinese porcelain vases and bowls; Japanese tansu chests; Japanese woodblock prints; a rare Japanese lacquer six panel screen; a Chinese porcelain famile verte brush pot; and a Chinese mandarin porcelain vase. 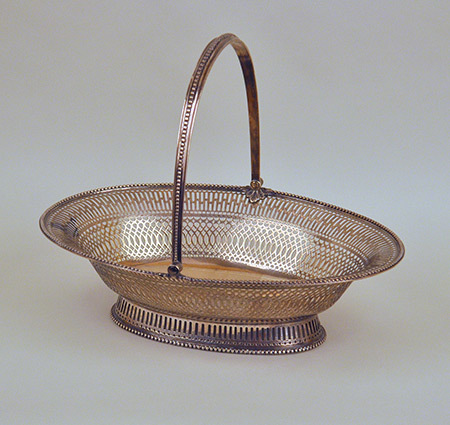 Sterling silver on offer includes various examples of English and American 18th and 19th century sterling, with a prime lot being a London sterling pierced bread basket, with handle and footed base, with armorial crest, made in London in 1781, maker's mark "WP" for William Plummer, 12 1/2" high, 14 1/2" wide, weight: 32.995 OZT, from a New Haven County, CT Estate. 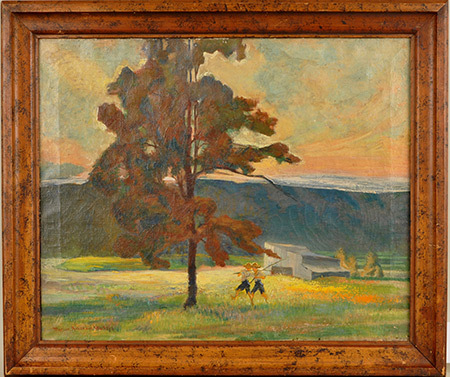 Many lots of fine art are being sold, including a Marion Kavanagh Wachtel O/C oil on canvas landscape view of two children under a tree with structures in background, signed lower left "Marion Kavanagh Wachtel", frame size: 27 1/2" high, 22 1/4" wide; a Pietro Gabrini watercolor depicting a harem scene, (Italian 1856-1926), of four women and their attendants, one feeding a swan, signed lower right "P. Gabrini, Roma"; an oil on panel portrait of a Scottich nobleman, attributed to Sir Thomas Lawrence (English, 1769-1830), frame size 15" high, 13 1/2" wide, consigned by an early Connecticut family; a Nils Severin Anderson oil on board, "African Landscape" (African, 1897-1972), signed lower right with plaque "Presented to Mr. & Mrs. Walter A. Arnold by the Durban Refinery on the 7th February 1962", frame size: 30" high, 43" wide, from a New Britain, CT Collector; and a Robert Reid (Am. 1862-1929) gouache on paper of a cottage and shady lane, most likely Cape Cod, with label verso "Country Home by Robert Reid - mixed media." Signed lower right, framed and under glass, frame size: 19 1/2" high, 24 1/2" wide. Reid's work is included in the permanent collections of many public institutions including the Detroit Institute of Arts. 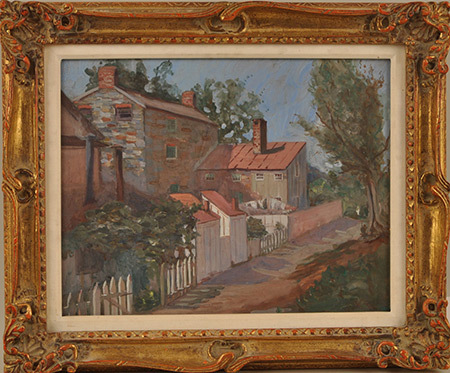 Reid was a member of the Society of American Artists and the National Academy of Design. Reid is well-remembered for his membership in "The Ten", America's premier group of Impressionist painters who exhibited together annually for twenty years from 1898 to 1919. He studied at the Boston Museum of Fine Arts School, the Art Students League in New York, and at the Academie Julien, in Paris, with Gustave Boulanger and Jules Lefebvre. Reid exhibited at the Paris Salon, the 1893 Columbian Expo in Chicago, the Paris Expo, the Pan-American Expo, and the St. Louis Expo, winning prizes and medals. 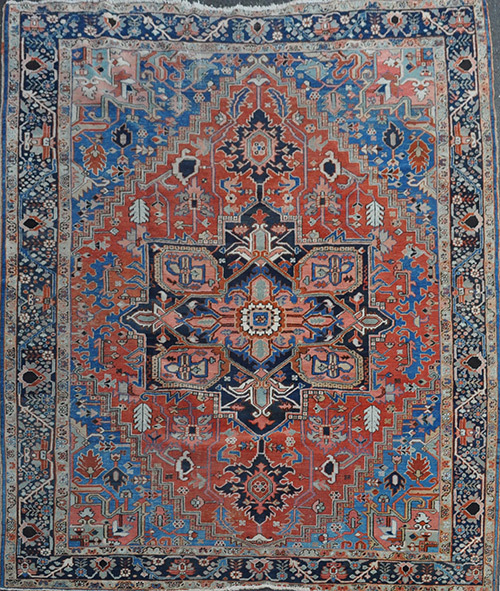 Over two dozen estate oriental carpets will cross the block, including Persian, Caucasian, Indian and Turkish room and scatter sized rugs. Of special interest is a an almost square Persian Heriz carpet measuring 10' 7" long, 9' 2" wide. 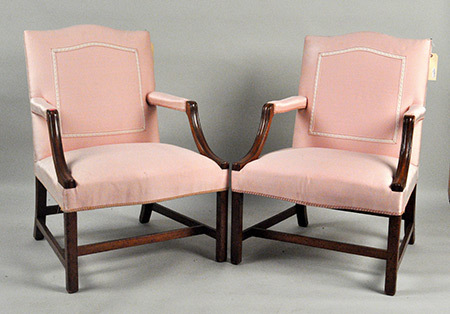 The catalog for the sale is viewable at www.woodburyauction.com. This sale is live online with absentee and phone bidding available by registering directly with Schwenke Auctioneers. Absentee and real time online bidding is now available on the firm’s website, and the sale will also be broadcast for live real-time internet bidding through Live Auctioneers and Invaluable. For additional information please call the auction hall office at 203-266-0323.